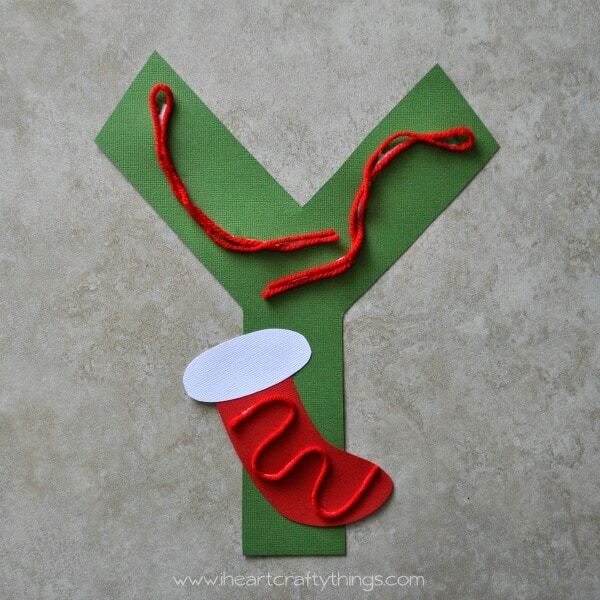 Continuing with the Alphabet Christmas/Winter Theme I’m also sharing with you a Y is for Yarn Craft. Y is one of those tricky letters that is hard to correspond with Christmas or Winter, but ultimately I think yarn works great. 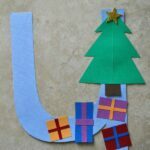 It’s common for people to have knitted stockings or homemade knitted hats, scarves or mittens so here is a simple way to learn about the letter Y. 1. Cut a Y out of your green cardstock paper (or the color of your choice). 2. Also cut out a stocking from your red and white cardstock paper. You could alternatively cut out a mitten shape. 3. 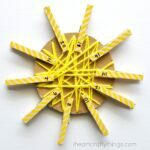 Cut strips of yarn off and glue them onto the top section of your Y. 4. 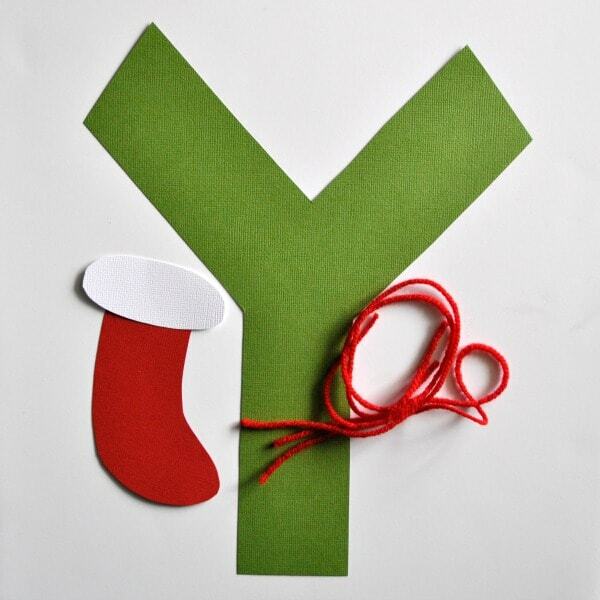 Glue your paper stocking or mittens onto the bottom section of your Y. 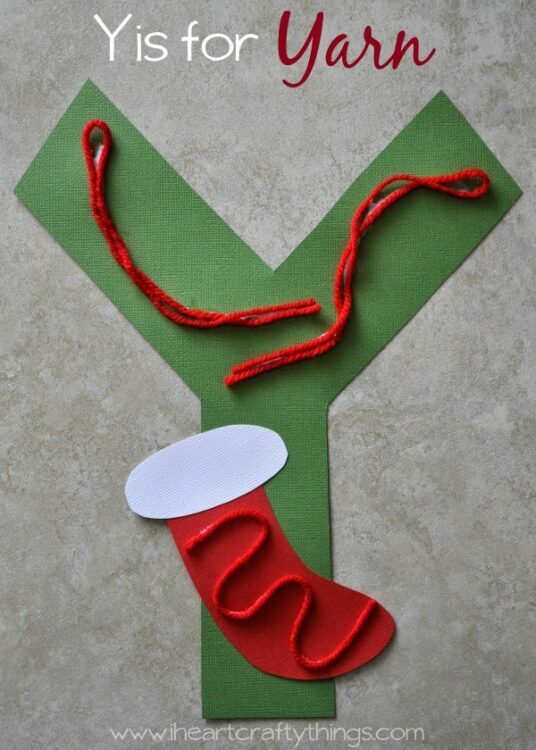 Glue a bit of yarn onto your stocking to represent it being knitted. 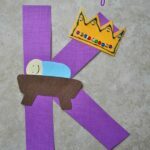 Make sure to check out our K and U letters that go with a Christmas/Winter theme. 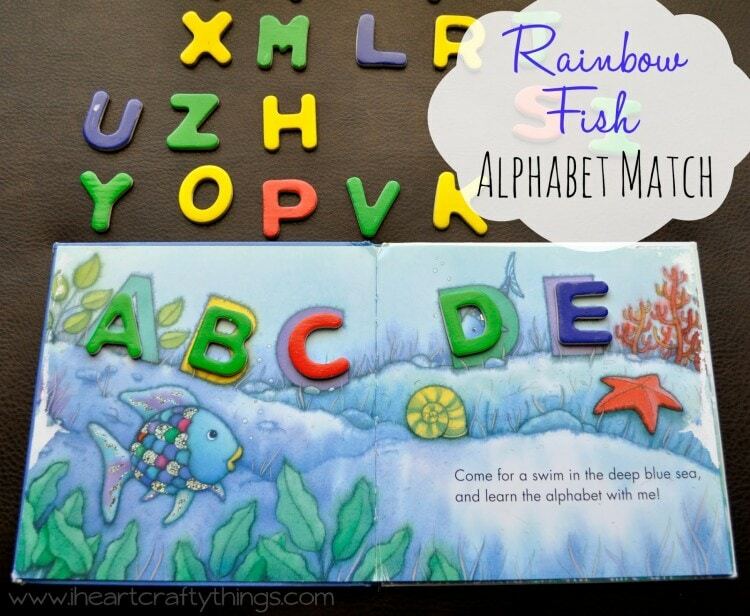 Follow I Heart Crafty Things’s board Preschool Education Ideas on Pinterest.